Marine Lance Cpl. 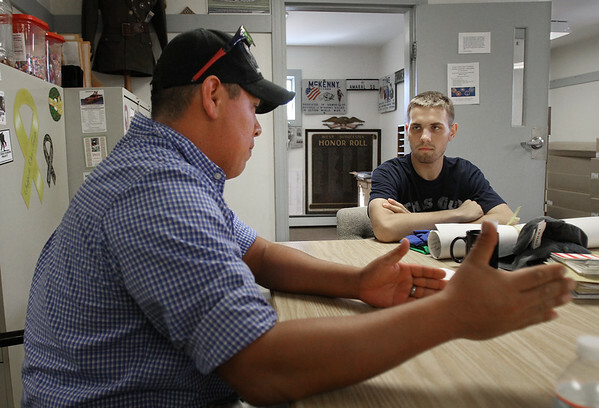 Dan Cary, right, listens as Veterans' Services Director Adam Curcuru explains the various services available to him Monday at the Veterans' Services office in Gloucester. Cary, 19, recently returned home after being hospitalized since March 24, when he was shot in the abdomen while preparing for a security drill at Naval Submarine Base Kings Bay, Georgia.